Last night, I finally finished Made in the U.S.A: The Rise and Retreat of American Manufacturing, by Vaclav Smil. It is a dense barrage of statistics, marshaled in support of a simple thesis, oft-repeated by politicians: the loss of American manufacturing has gutted the middle class, and, by extension, the economy as a whole in this country. However, unlike the politicians, Smil sees few ways to reverse this trend, and imagines a grim future of ever-expanding sovereign debt, energy shortages, a declining standard of living, and the loss of America's dominance in world affairs. The book, put out by MIT Press, prominently features a quote from Bill Gates on the cover, who says "There's no author whose books I look forward to more than Vaclav Smil." His Amazon page is studded with similarly glowing reviews, praising him as a (tending dystopian) futurist oracle. In an interview in Wired out last summer, he comes across as a gleeful contrarian, dismissing technology companies with a shrug. "Apple! Boy, what a story. No taxes paid, everything made abroad—yet everyone worships them. This new iPhone, there’s nothing new in it. Just a golden color. What the hell, right?" His critique is pointed -- Apple employs 25,000 people in the U.S., the bulk in low-end retail jobs; FoxConn has 250,000 employees making phones in China for (relatively) middle-class wages. He goes on to point out that Germany, supposedly a pioneer of renewable energy, has actually seen its carbon emissions rise since it began heavily subsidizing solar and wind production. Smil avoids the tone and narrative form of other pop-economics books like Freakonomics and The World is Flat, opting instead for a dry, academic detachment. Many of the sentences are merely scaffolds for statistics, one mind-numbing number after another. Some are broad -- examining GDP and manufacturing employment -- but, at times, he gets deep in the weeds on specific aspects of the economy. From page 107: "In 1960, the United States needed about 16.5 man-hours to produce a ton of steel, compared to Japan's mean of nearly 49 hours; by 1973 the Japanese average was less than 9.5 hours, while the U.S. mean was just over 11 hours." His point? During and just after World War II, America was the world's largest steel producer, but a failure to evolve into more efficient production technologies doomed the industry to failure, outwitted by nimble foreign competitors. That story is repeated in industry upon industry, as every sector of the U.S. economy has gotten beat by innovation and cheaper labor from abroad. American car companies have subjected themselves to decades of boom-bust cycles and government bailouts because they refuse to accommodate trends towards smaller, more efficient vehicles. No flat screens, laptops, tablets, smart phones, digital cameras, televisions, DVD players, or game systems are manufactured domestically. Textiles (Baltimore itself used to make some 80% of the world's canvas) have moved wholly abroad, leaving only some assembly and distribution jobs in the U.S. The rise of the consumer economy, coupled with relative wage stagnation, has sent the citizenry on an ever-hungrier search for the cheapest things, no matter where they might come from. 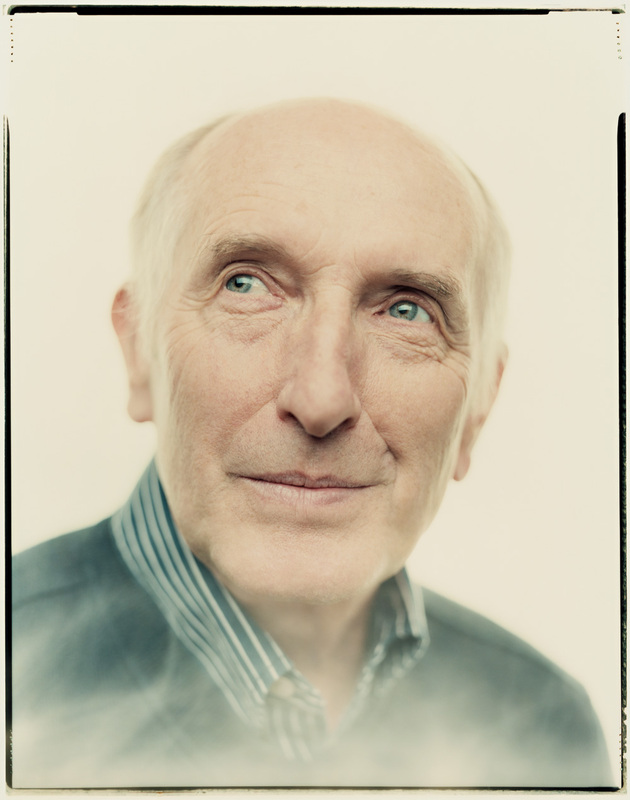 Vaclav Smil, as photographed by Andreas Laszlo Konrath, via Wired. But America's still the world's largest economy, right? And not by a slim margin -- while China is gaining, the U.S. economy is twice as big, distributed over just 1/3 of the population. America is home to 10 of the world's 25 wealthiest companies. Many of the great advances in technology in the last thirty years have come from a narrow band of the west coast, which has generated behemoths Microsoft, Apple, Amazon, Google, Facebook, and Twitter and minted dozens of billionaires. And, according to Smil, America still leads the world in manufacturing, generating about 19% of the world's output and edging China's production by about $1.1 trillion dollars as of 2010 (p. 17). Why do we need to make smartphones domestically when someone else can do it cheaper? There's no magic to manufacturing in and of itself compared to any other industry sector, right? While Smil doesn't really mention it explicitly in his thesis, manufacturing is so important because its demise has been a generator of vast inequality. In 1950, the Sparrows Point Steelworks in Baltimore was the largest steel mill in the world, employing 31,000 people. They earned decent wages, had unionized job security, and were able to afford row homes and new cars. The shift to a technology-driven service economy in the sixty years since has slowly stratified the economy, forcing those with a high school education (and many with advanced degrees) into low-wage service occupations at restaurants, call centers, and in retail. Some of the few middle-class jobs left for those without a college degree are high-risk occupations that are increasingly under political assault -- firefighters, EMTs, policemen, oil roughnecks, and soldiers. High tech companies have failed to generate any sort of mass employment -- Facebook services a billion users and earns $7.87 billion in revenue with just 3,500 workers. Bethlehem Steel never made that much money with ten times as many employees at Sparrows Point. Sparrows Point shipyards at their wartime height, in 1940. By Robert Kniesche for the Baltimore Sun. Smil is pessimistic that mass-manufacturing will ever come back to America. In some ways, this is a good thing. Baltimore is still dealing with the toxic legacy of 120 years of heavy steel and chromium industry downtown, as are many rust-belt towns around the country. Workers were exposed to lead, asbestos, and coal soot while doing backbreaking labor, living an average of 12 years less than peers in other jobs. And, Smil points out, even if manufacturing does return, it will be increasingly automated, requiring fewer workers with more education. He writes " . . . robotization . . . will transform virtually every category of modern manufacturing because it is poised to enter a qualitatively new stage. In 2012, the global total of industrial robots was in excess of 1 million machines . . . (p. 214)." My own experiments with CNC furniture construction may be planting the seeds of the destruction of my own craft. Politicians have been worrying over these trends for decades, but programs put in place to reeducate or reemploy blue-collar manufacturing workers have largely failed. Since 2008, the share of jobless people who were unemployed for 27 weeks or more skyrocketed, surpassing 40% and dwarfing the numbers from any previous downturn. We seem, on a GDP and Wall Street basis, to be climbing out of the Great Recession, but unemployment remains stubbornly high. Smil thinks this is part of a fundamental realignment. The jobs aren't coming back. Statistics or no, not every job can be automated, exported, or destroyed. Increasing energy costs may bring some manufacturing back by default as global shipping prices and political instability make outsourcing unreliable. A return to more ecologically sane, less industrialized farming practices could bring more jobs in agriculture. And we've got to work like hell at making things no one else can.